Two new sensor-based early detection tools for diabetic foot ulcers are being developed. 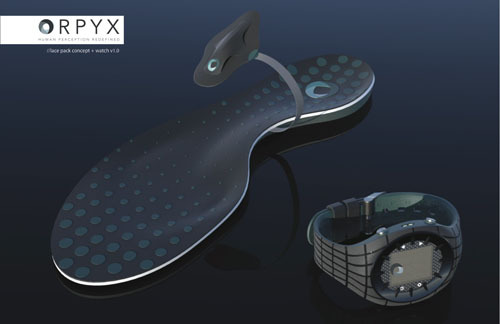 Orpyx Medical Technologies has developed a wristwatch and shoe insert. An insole is designed to support the foot, with three separate foam layers. Eight tiny electronic sensors are packed in the top of the insole so that they rest against thesurface of the foot once the shoe has been put on. These sensors are programmed to detect when pressure exceeds predetermined levels at certain points of the foot that are most susceptible to ulcers. Once they do, they wirelessly transmit a warning to the watch, which immediately sounds an alert. Cambridge based Podimetrics is developing a home-monitoring bath mat with sensors that record changes in blood flow patterns when a diabetic patient steps on the mat. The sensors scan the foot to collect data about blood flow and send the data to the cloud to be stored and analyzed. The company’s algorithms look at that data in two ways: longitudinally over time and comparatively between the left and right foot to detect patterns that may indicate the presence of a developing ulcer. When the algorithms detect a pre-ulcer, an alert is sent to the patient and his doctor prompting an intervention early on. A research team jointly led by scientists from Cedars-Sinai Medical Center and the University of California, Los Angeles, have enhanced a device they developed to identify and “grab” circulating tumor cells, or CTCs, that break away from cancers and enter the blood, often leading to the spread of cancer to other parts of the body. 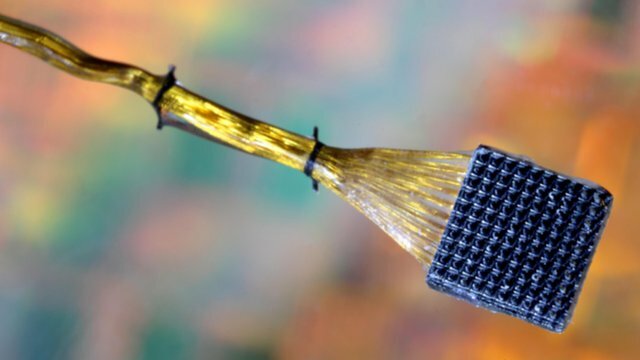 If more studies confirm the technology’s effectiveness, the NanoVelcro Chip device could enable doctors to access and identify cancerous cells in the bloodstream, which would provide the diagnostic information needed to create individually tailored treatments for patients with prostate cancer. With the new system, a patient’s blood is pumped through the NanoVelcro Chip — the microvilli protruding from the cancer cells will stick to the nanofiber structures on the device’s surface, much like Velcro. This phenomenon facilitates the capture of rare CTCs in the blood stream. Next, laser capture microdissection technology allows the scientists to selectively cut out and pick up the CTCs from the NanoVelcro Chip, virtually eliminating any trace of any contamination from white blood cells, which can complicate analysis. Finally, the isolated and purified CTCs are subjected to single cell “next-generation” sequencing, which reveals mutations in the genetic material of the cells and may help doctors personalize therapies to a patient’s unique cancer. “To date, CTC capture technologies have been able to do little more than count the number of CTCs, which is informative but not very useful from a treatment planning perspective. It is a scientific breakthrough to have the ability to isolate pure CTCs and maintain their integrity for sophisticated genomic and behavioral analyses,” said Hsian-Rong Tseng, PhD, associate professor of molecular and medical pharmacology at UCLA and the inventor of the NanoVelcro Chip concept and device. 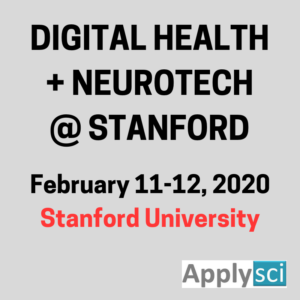 The Initiative promises to accelerate the invention of new technologies that will help researchers produce real-time pictures of complex neural circuits and visualize the rapid-fire interactions of cells that occur at the speed of thought. 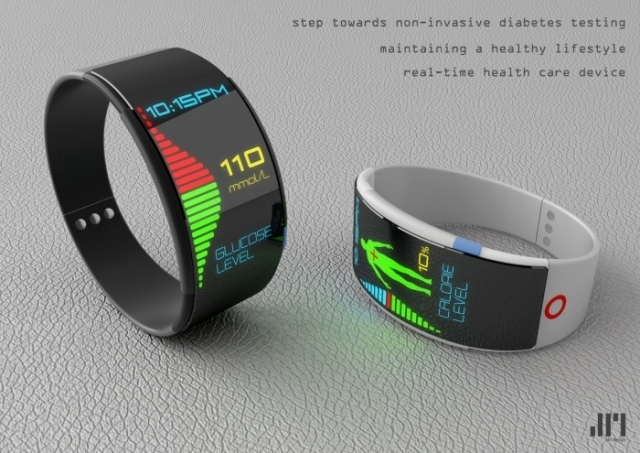 Diabetes patients have been self monitoring for years. Advances in mHealth have made the process more efficient, though still complicated. The iPhone can improve the functionality of glucometers; last month the FDA approved LifeScan’s VerioSync glucometer; the device automatically sends blood sugar levels to an iPhone via Bluetooth (fewer steps mean fewer mistakes and less anxiety). The iBGStar is a similar patient-centric tool. The ultimate goal is a non-invasive glucose monitor, which will allow patients to check their blood levels without drawing blood. We aren’t there yet. When such devices can connect to automatic insulin pumps, which adminster insulin into a patient’s bloodstream subcutaneously through an open line rather than an injection, some of the hassle and stigma of diabetes may be lessened. The microchips were designed by Imperial College London professors Chris Toumazou and Sir Stephen Bloom. They will soon be tested in a series of animal trials which could determine whether or not they are a good alternative to weight loss surgery. The intelligent implantable modulators are only a few millimeters wide and will attach to the vagus nerve in the abdomen’s peritoneal cavity using cuff electrodes. The vagus nerve serves as the primary communicator between the brain and the digestive tract. Once attached, the chip would be able to read electrical and chemical signals indicating appetite. It would then respond by sending a signal of its own to the brain reducing or halting the urge to eat. Bat sonar has long had an edge over man-made sonar and ultrasound devices, but scientists are working to decrease that gap. Nathan Intrator of Tel Aviv University’s Blavatnik School of Computer Science, in collaboration with Brown University’s Jim Simmons, created mathematical models that improve our understanding of the ultrasound process. Ed Boyden at MIT pioneered Optogenetics–using light to manipulate the brain. 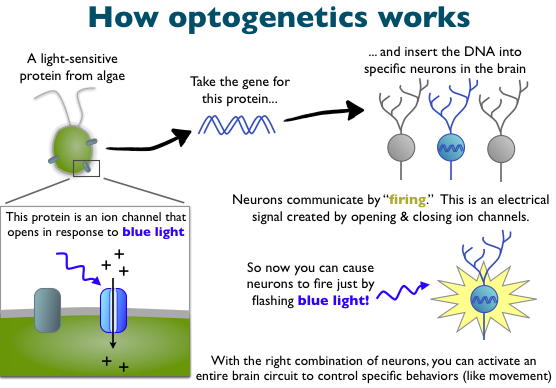 ApplySci described MIT’s latest Optogenetics chip in our post of 12/4/12. Today, at least 1,000 neuroscience groups worldwide are using Optogenetics to study the brain. Professor Boyden compares his work to that of a philosopher and is a recipient of the 2013 Grete Lundbeck European Brain Research Prize. Being able to turn individual cells on and off could be powerful in finding therapies for brain disorders. While the digital health sector is booming, life science VCs have hesitated, fearing a potential bubble and onerous government regulation. A small, external sensor developed at the University of Pittsburgh records how a person swallows and could result in more efficient and less invasive testing for stroke patients. Dysphagia can have dire consequences like malnutrition, dehydration, pneumonia, and even death. Current evaluation and monitoring methods are often cumbersome and not as effective as they need to be. 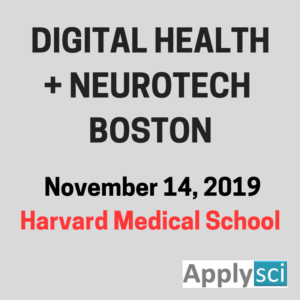 -improve prosthetics, hearing aids, and develop a wearable material to support healing muscles or create an exoskeleton.